Incorporating fixed frequency, peak current mode and PWM control architecture that reduces conducted and radiated emissions, the ADP5138 is an automotive qualified, high efficiency, 3.2MHz synchronous quad output buck regulator and LDO from Analog Devices. The Power by Linear device’s high efficiency buck regulators are claimed to improve thermal management, operate down to 0.8V outputs and deliver up to 1.0A of continuous output current from each channel. There is also an integrated 250mA low output noise (20microVRMS from 10Hz to 100kHz), high PSRR (61dB at 1kHz) low dropout linear regulator (LDO) for powering noise-sensitive devices. 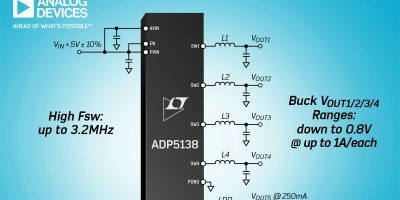 This ADP5138 can be used in automotive, industrial and instrumentation systems, as well as DC to DC point of load applications where space is at a premium, says Analog Devices. The ADP5138 runs at a fixed PWM switching frequency of 3.2MHz, or can be synchronised to the external clock from 2.8 to 3.5MHz, which is outside the amplitude modulation (AM) band. 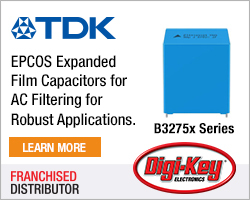 This high switching frequency reduces the size of external components, enabling a smaller solution footprint. The four buck regulators run 90 degree out-of-phase to each other, reducing the input ripple current and the input capacitor size and lowering the system’s electromagnetic interference (EMI), adds Analog. 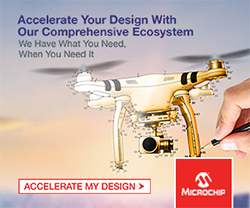 Integrated internal compensation simplifies design, and the device’s internal soft-start circuitry and power-up sequencing reduce input inrush current. The ADP5138 monitors the input voltage and provides input over-voltage lockout, under-voltage monitor and under-voltage lockout features. The device also monitors the under-voltage and over-voltage of the outputs. The power-on reset signal is asserted when the input or output voltage fault occurs. There is also overcurrent protection and thermal shutdown. 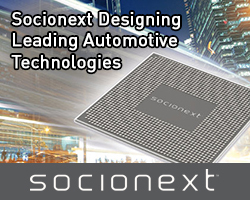 The ADP5138 and the automotive qualified version, the ADP5138W, are offered in a low profile (0.75mm), compact 28-lead 4.0 x 4.0mm LFCSP package with backside exposed metal pad for excellent thermal performance. The devices operate from -40 to +125 degree C (junction temperature).